Today’s ultra low-power sensors and wireless modules not only allow batteries to last longer but also make completely self-sustaining IoT devices possible. 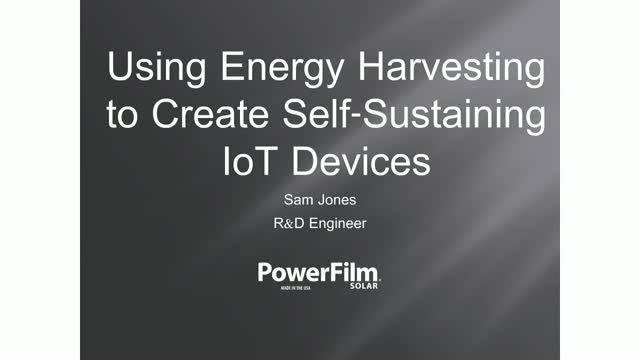 This webinar will overview energy harvesting methods including photovoltaic, piezoelectric, thermoelectric, and RF with a focus on indoor ambient light collection. Practical applications and how to integrate solar energy harvesters into electronics will also be discussed. An indoor solar-powered Bluetooth sensor will be analyzed as a use case example.